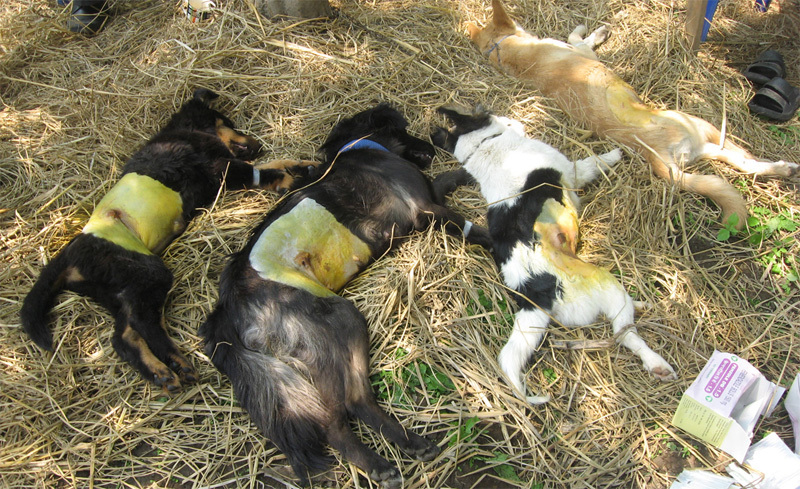 Camp at Dalapchand held on 8/4/2011 wherein we vaccinated 63 dogs, 3 cats and operated 7 dogs. 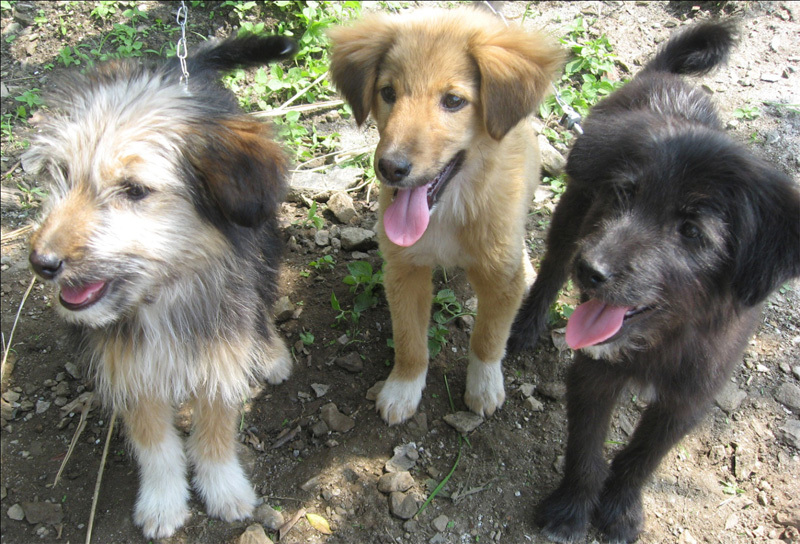 Beautiful “Kalimpong mongrels” line up for their turn to get vaccinated and undergo sterilization. 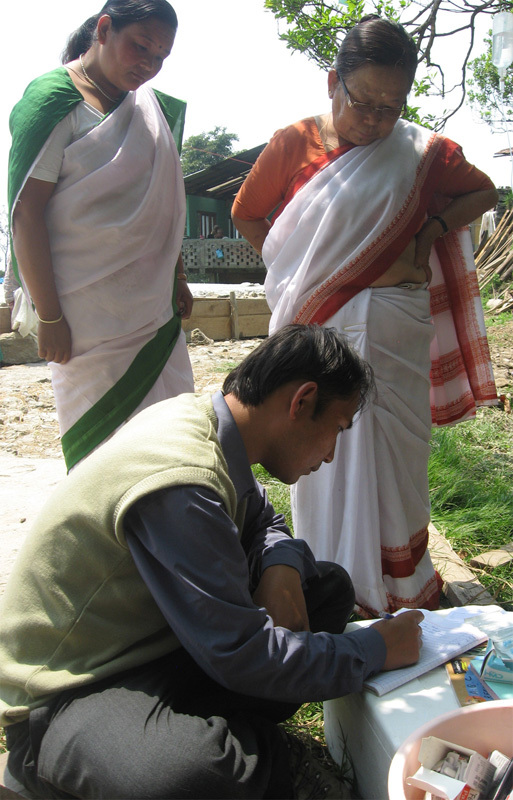 Shelter staff maintaining records at Dalapchand camp. 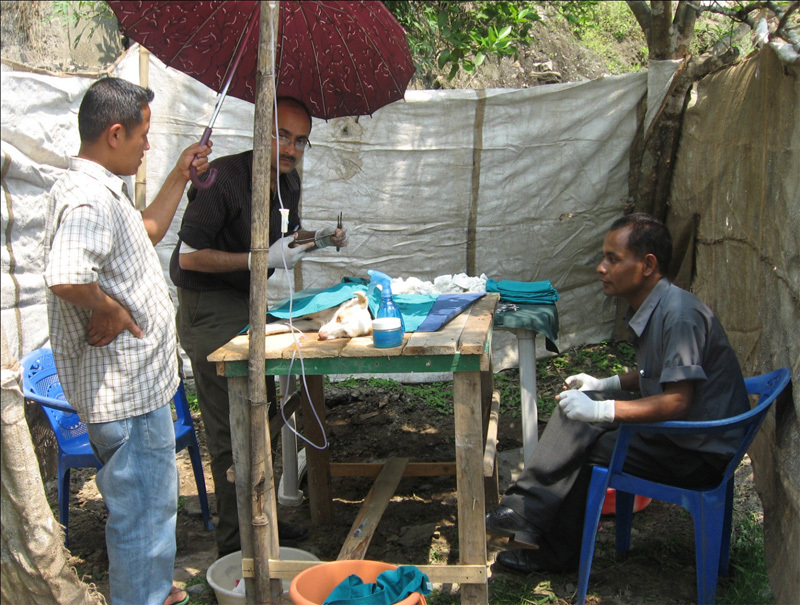 The makeshift OT at Dalapchand Camp.